Are a series of prints that re-assemble botanical and zoological illustrations. Scientific expeditions that incorporated illustrators were launched in the European colonies in Africa and the Americas during the XVIII and XIX centuries. 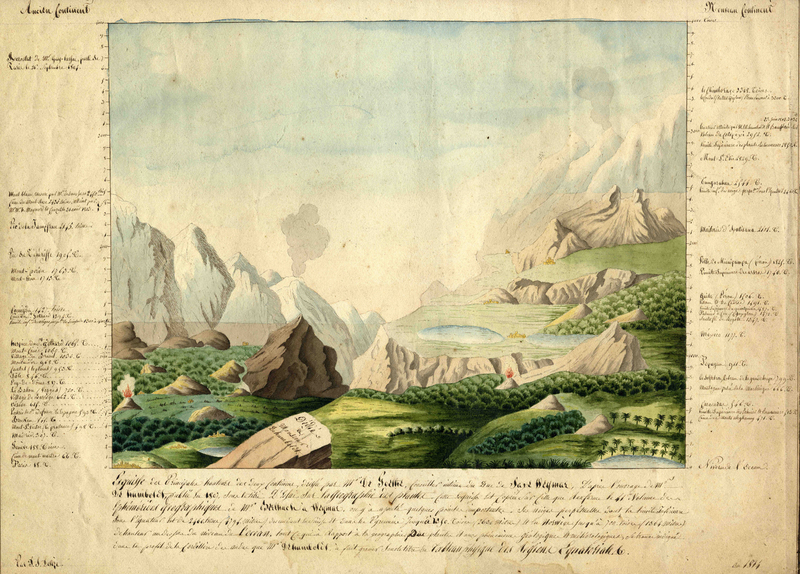 Eduard Rüppell in North Africa, Alexander von Humboldt in South America and José Celestino Mutis in Colombia, among others, organized a system of knowledge production and documentation. The illustrations depicted the physical landscapes, peoples, and economies of the colonies, advanced the knowledge of the region and in some cases transformed how Europeans perceived the New World. But they also reinforced a dominant idea of otherness through exoticism and ultimately facilitated a colonial discourse of controlling nature and its occupants. Main Print: 35 x 45 inch.